Apple displaced Samsung as the worldwide smartphone leader, but the Korean company is fighting back with the release of two new models this week. NEW YORK (TheStreet) -- Samsung (SSNLF -- stuck between a rock and a hard place as it fights against the immovable Apple (AAPL - Get Report) in the premium phone market and low-cost up-and-comers such as Xiaomi and Huawei -- has a new weapon: the Galaxy S6 and S6 Edge smartphones. Introduced this week at the Mobile World Congress (MWC) show in Barcelona, the models are premium-priced phones specifically targeted to take on Apple's iPhone 6 and 6 Plus. While analysts are mixed on whether Samsung's latest effort will help it regain some of the market share it lost to Apple last year, they believe the new models are a step in the right direction. "The launch was successful. The company did the right thing to have a device to compete with Apple, but the momentum from the holiday period is going against Samsung and that will continue," said Bill Kreher, tech analyst for Edward Jones, who added that the new product releases won't be enough to fully counter Apple at the market's high end. Samsung has been in a year-long slump, losing share in an otherwise booming smartphone market. Research firm Gartner estimated Samsung shed almost 10% of its market share and shipped 10 million fewer units worldwide in the fourth quarter, placing it behind Apple. During the same period, the smartphone market rose 30% with all of the other major handset makers boosting shipments. "Samsung continues to struggle to control its falling smartphone share, which was at its highest in the third quarter of 2013. This downward trend shows that Samsung's share of profitable premium smartphone users has come under significant pressure," said Anshul Gupta, principal research analyst at Gartner. Jeff Orr, senior practice director for ABI Research, said making up the lost ground will take more than having Samsung roll out a pair of new phones. He noted that the S6 models do show that Samsung is getting back to its roots as a technology-first company and has recognized, and not repeated, the mistakes it made last year with the S5. Orr called the S5 a failure as a premium offering because of its poor construction and design. Not everyone is 100% in agreement, however. UBS analysts who took a look at the S6 and S6 Edge at Mobile World Congress gave it a mediocre review with high points for style but a thumbs down for its launch date. "The design has the advantage to be a departure from the Galaxy S3 to S5 sequence. But the features were largely in line with our previews. The two key surprises were Samsung Pay, which can make use of traditional terminals, and NAND Flash combining SSD and eMMC technology. The launch date -- April 10th -- is a touch later than we assumed, and the initial number of countries (20) more limited," UBS said in an analyst note. Samsung also will have to execute the rollout properly for the new phones to have a positive impact. 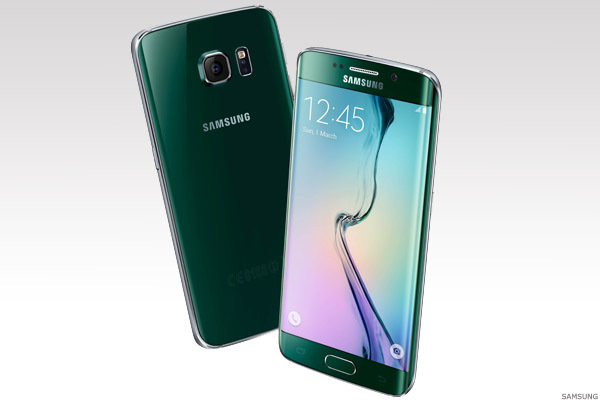 "The S6 Edge is a highly differentiated device and provided Samsung can manufacture it in sufficient volume and price it reasonably without too high a premium it will give Samsung a boost for the first half of 2015," said Ian Fogg, IHS Technology senior director and head of mobile and telecom. While the fight at the top of the smartphone market is tough, Samsung is better positioned to grab share in emerging markets, which could help the company boost its overall numbers this year. Since Apple has basically priced itself out of the competition in all but the most advanced markets, Orr noted, Samsung is left some room to make a play for share. Specifically, Samsung could do well in Africa and other emerging regions where Xiaomi doesn't have a presence. Orr said he could see a scenario in which Samsung outsources and partners with other companies to produce very low-cost phones, most likely based around Samsung components. The end result of the S6 introductions and Samsung's ability to do well in emerging markets will have the company and Apple swapping the lead position in the smartphone market, Kreher said. As the year progresses, Samsung will gain the lead at certain times, but then fall behind Apple when Apple goes through a product launch cycle and during the next year's holiday season.